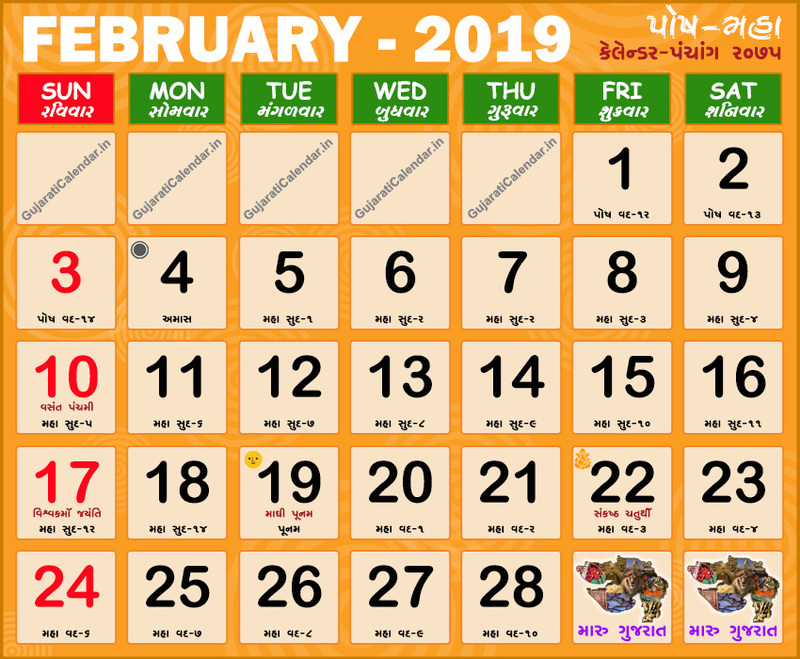 Gujarati calendar 2019 February showing festivals, holidays and tithi. February corresponds to the Gujarati months of Posh Maha. Gujarati month Posh Maha are the months of Shishir Rutu and Vasant.Vasant Rutu is considered the king of seasons for its mild, pleasant weather across much of India. This month includes hindu festival Vasant Panchami.